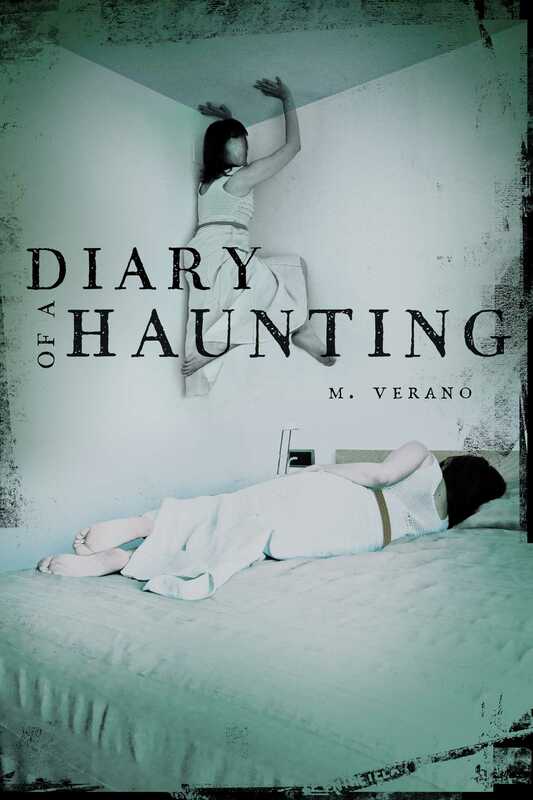 Diary of a Haunting THURSDAY, JANUARY 1, 11:14 A.M.
New year, new journal! Or well, new attempt at old journal. I haven’t posted here in forever. I can’t believe I even remember the password. All my old posts are so ridiculous. I’m not even friends with those people anymore. I used to get so worked up about this or that boy, or who was passing notes in math class. All that stuff seems far away now, ever since Real Life came along and punched me in the face. From now on I am only posting locked entries—I don’t think anyone I know is still on this site anyway, but just in case. It’ll be kind of a relief to have one place where I can be completely honest . . . even if it doesn’t always make me look that great. But really, it’s everyone else who look like assholes right now. I just . . . I cannot believe my dad. My dad! The person I loved and admired most in this world, who I looked up to . . .
It’s been six months, but I still can’t wrap my head around the fact that he was having an affair. That now he has a new wife, that he has no interest in even seeing me and Logan anymore. I mean, he says he does, but that seemed like it was more for the judge than for us. I can hardly blame the new girl for not wanting to deal with stepkids, what with her being all of TWENTY-TWO. And the worst thing is what a cliché it is. It’s not like I completely lived in a bubble. I was semi-aware that Hollywood producers don’t have the greatest record of staying married to one woman their whole lives . . . especially when that woman was a beautiful young movie star when they got married. And that’s exactly what all the industry rags are saying, *obviously*. It feels like everyone outside these four walls is actually yawning at how lame and predictable this divorce is, my dad trading Mom in for the younger version. I don’t know, I shouldn’t be shocked, but I am. Call me naive, but I really believed our family was different. We used to joke about it around the dinner table, how all that Hollywood gossip would never affect us because Mom and Dad were real people, not like the stereotypical plastic LA-types. They even named me Paige and not, like, Starfruit or Crash or some absurd celebaby name. But haha, turns out the joke is on me. And I’m the only one who didn’t see the punch line coming a mile away. Well, me and Mom. If anyone is handling this worse than I am . . .
And that’s the thing. Part of me is really glad to see her starting to get back on her feet at last. It’s definitely a step up from alternately sobbing and staring off into space, or screaming into her phone at her lawyer—though that was good in a way, because it got her a fat settlement (another good thing about my parents being “real people” is they didn’t have a prenup, like the rest of Hollywood). So there’s that at least. Mercenary. That’s what the New Girl called Mom, according to TMZ (which I have stopped reading, obviously, but the kids in school insist on feeding me every gross detail). But whatever, the whole point of this journal is for me to be able to say these ugly things and not feel bad about it. So there it is: I am glad that if Dad has to be a scumbag and ruin everybody’s life, at least we get some money out of it. And I’m glad Mom is doing better. I really am. But I wish she could find a way of getting better that’s less disruptive to *my* life. Haven’t I been through enough upheaval this year? Now, in addition to losing my family, I’m also about to lose all my friends, my school, my room, everything that is familiar to me, all so Mom can follow her dream out in . . . God, it makes me cringe to even say it. Idaho. IDAHO. Is that not just . . . completely psychotic or what? Is that even a real place? I guess Cassie and Mackenzie went there last year to ski, but I don’t think we’re moving to the ski-resort part. Spooky Reads for Halloween Weekend!